The original house was built in a 'Tuscan Villa' style, and our brief called for a complete rebuild/renovation of this existing building. 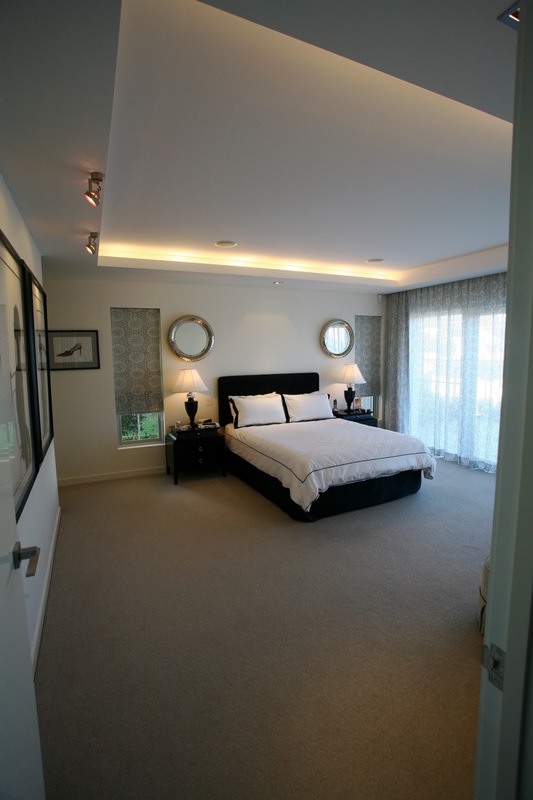 The renovation involved additional bedrooms and study areas, 2 additional bathrooms, and a complete overhaul of the interior design. An internal lift services all 4 levels across the steep site, and ensures the home is accessible well into the future for the family. New open plan living spaces connect seamlessly to the outdoor entertainment areas through fully openable glazed walls. Each of the rooms open up to capitalise on the hilltop location and the amazing views. 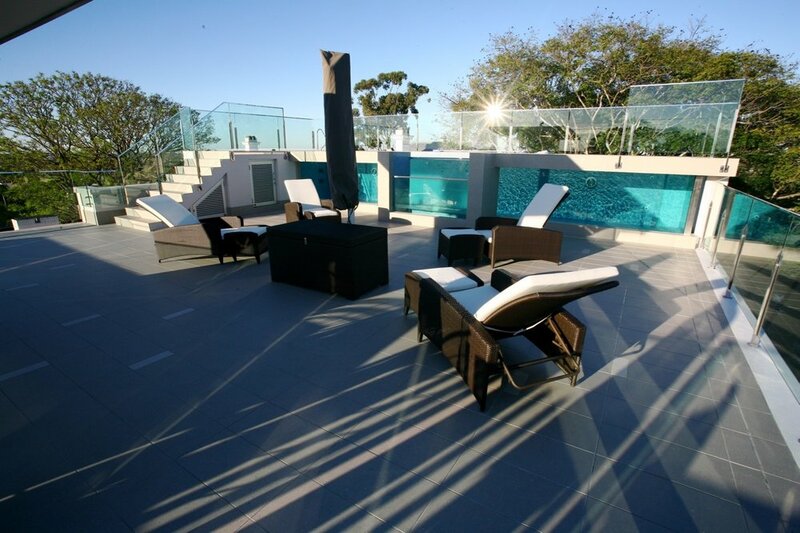 The full rooftop terrace, which takes in unparalleled views of Brisbane city also features a raised glass-sided lap pool.